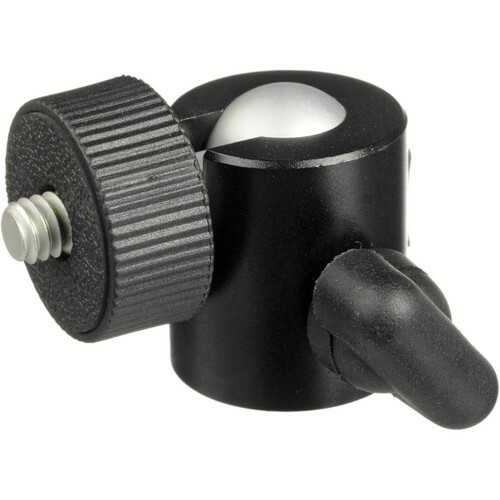 The Oben BD-0 Mini Ball Head is the perfect topper for a miniature or table-top tripod model. Constructed of aluminum, the BD-0 functions like most full-sized ball heads but features a supremely low-profile design. A single-action lever loosens the ball and allows it to move freely in all directions, and in addition, a groove allows it to tilt 90° in one direction. 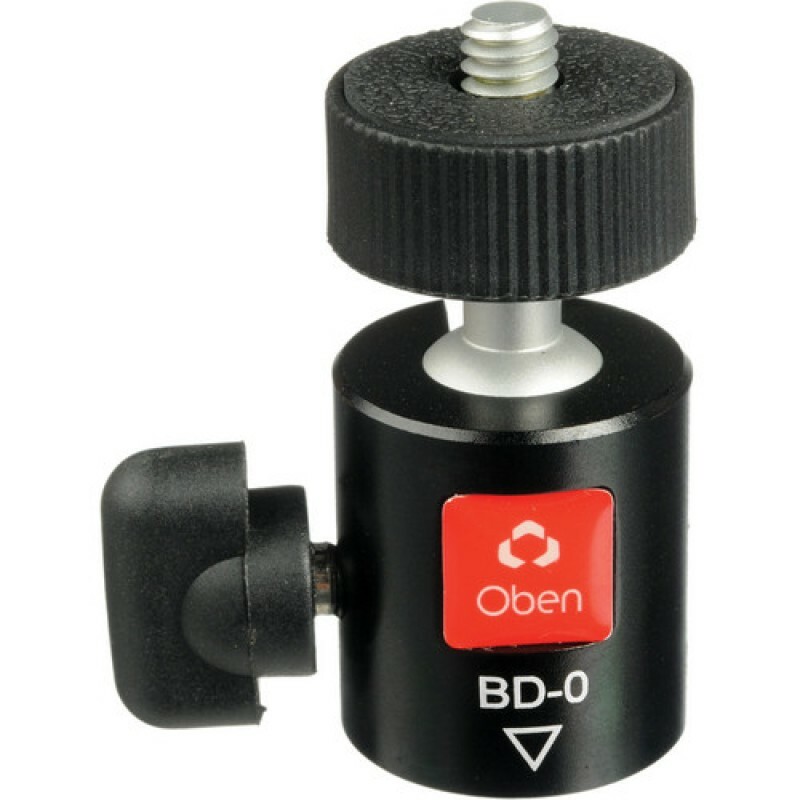 The BD-0 head can serve as a replacement head for an Oben TT-100, TT-200, or TT-300 table-top tripod. Or it can allow you to properly orient your camera on any other tripod model, whether it has a 1/4"-20 or a 3/8"-16 stud – the head has a 3/8" thread and comes with a reducer bushing to make it compatible with the 1/4"-type stud. Box Dimensions (LxWxH) 2.8 x 2.5 x 0.2"
I mounted this on my slider, its really sturdy and extremely smooth. I think im going to make it my portable too because its so compact It'll be really easy to take along when I have to travel. I also tried it on my manfrotto window mount and together they barely take up space in my carryon. It carries a nice load for its size and is really compact. Still its small so i wouldn't reccomend it for a large dlsr but I did try my small one and it works perfectly. Super cheap too! This is the best deal I have seen in awhile.